There are many ways to control caravan instability – or even better, avoid it. There are several approaches you can take to avoid a disaster occurring when caravan instability hits. Some methods are reactive and others proactive. In order to stay as safe as possible you should consider a combination of both methods. Let’s look at proactive caravan safety tips first, because prevention is better than cure. A caravan driving course will give you the skills you need to regain control of your caravan in many situations. Professional trainers will teach you how to stay calm and correct any sway or instability. 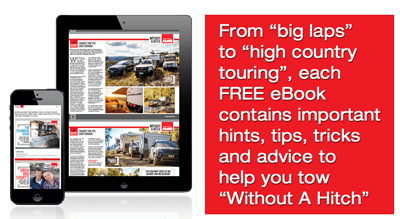 Professional caravan safety tips are an invaluable addition to your knowledge base. These are skills you should seek before towing a caravan on the open road. One cause of caravan instability is too much weight on the tow ball of your vehicle. To help avoid this, a weight distribution system [link to article: How to set up your weight distribution hitch on your car trailer] redistributes some of the weight to stop the rear end of the car sagging. This also helps to keep steering and braking within your full control. A dual cam sway control system avoids sway by keeping the caravan locked in a rigid position when you’re driving in a straight line, yet allowing you to navigate corners purposefully by dislodging as needed. Friction sway control systems react to the sway as you experience it, helping to bring the caravan back under control. An electronic stability control (ESC) system that’s specifically designed for caravans will sense when your vehicle swerves to avoid a collision, and will start applying the brakes on your caravan immediately in a smooth and controlled manner. That means that whether you’re braking your car or not, your caravan is already slowing down to reduce the swerve and instability for you. When it comes to caravan stability control, prevention is the best option. Ensure that your driving skills are adequate and you’ve taken the right measures with fittings and stability control systems to avoid problems on the road. Do your homework and make sure the best caravan stability control systems are fitted to your caravan.